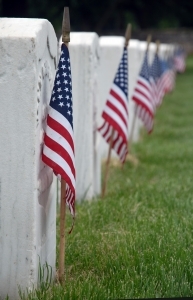 Memorial Day means the start to the summer season and kicks off months of barbecues, parties, and visits with family and friends. The national holiday intended to commemorate those who fought for our freedoms also means time off and relaxation. This Memorial Day, whether you are going camping, throwing a backyard barbecue, or visiting loved ones, be wary of drunk drivers on the road and don’t forget to celebrate responsibly. Designate a driver: Whether you are hosting a party or heading out for the holiday, you should make sure there is a designated driver. Knowing who is going to drive can help avoid confusion later on the day and gives everyone a clear plan for getting home safe. Know your limit: Though drinking and driving itself is not illegal, it is illegal if you go over the legal limit of .08. While you are safest to avoid drinking and driving at all, you can avoid a DUI and prevent accident by knowing your limit. Make sure you eat, drink water, and leave enough time between drinking and getting behind the wheel. Be careful if you taking medications: If you are taking over-the-counter painkillers, antibiotics, or other drugs, be wary that the effects of alcohol could be exacerbated. You should also completely avoid alcohol if you are on certain drugs to prevent living damage and other dangerous consequences. Be respectful of non-drinking guests: If you are hosting or attending a party, be respectful of those who choose not to drink. They may be a designated driver or have medical, religious or personal reasons for saying no. Don’t mix drinks: Remember that mixing liquor, beer, and wine can be difficult for your liver to process. You should also avoid mixed drinks on an empty stomach if you are drinking on a hot day. Consider public transport or get a room: If you are too drunk to drive, consider getting a cab or renting a motel room. The costs of getting a ride or staying overnight are much lower than risking your life, your loved ones, or the potential risks you pose to other motorists on the road. Be a responsible host: If you are serving alcohol at your party, make sure that your guests get enough food, water, and that no one leaves after drinking too much. In addition to the potential risk of injury to your guests or other motorists, you could also be held liable for over-serving guests in the event of an accident. Be wary of drunk drivers: Even if you have been responsible, remember that others on the road may not have been. Be aware of drunk drivers on Memorial Day and report any suspicious drivers to your local police.